Sometimes it’s difficult to escape the rush of everyday life, to really relax and reset in the few holidays we have. We want to travel far, discover new places, see famous sights and experience other cultures. But hey, can we really enjoy a holiday when we just continue rushing? I don’t think so. Like many others, I needed a holiday. One of those where you wake up to a healthy breakfast, jump into the clear blue sea and swim towards a yoga session at the beach. Sounds like a dream, doesn’t it? Well, that’s what a real holiday should be like. So I flew Mallorca, the prettiest island in Spain, to spend four days on a sailing retreat with IN Adventures. Their sailing retreat is a brand new concept set up by one of the best skippers of the famous Yacht Week, who noticed that most people are a little bit tired of party holidays and want to be more healthy, enjoy trips and reset from the rush of everyday life – not to come home from a trip in need of another holiday. What to expect of a Sailing Retreat? As a yoga beginner I wasn’t sure what to expect. Would I be good enough to join the sessions? I was very curious what it would be like and joined all the yoga and meditation sessions of the sailing retreat. We did yoga at the most stunning spots, early in the morning and in the afternoon, at the beach and onboard. I loved it, I learned so much and felt so good after each session that I immediately signed up for yoga at home! From the most delicious breakfast with fresh fruits and avocado toast, to Spanish paellas and veggies with tofu. The two chefs onboard managed to prepare the most incredible dishes in their little kitchen on the yacht. I loved hearing their stories of how they work everywhere around the world, on yachts, in villas and now on our sailing retreat. We also had a sommelier joining us onboard for a wine tasting with local organic wines. 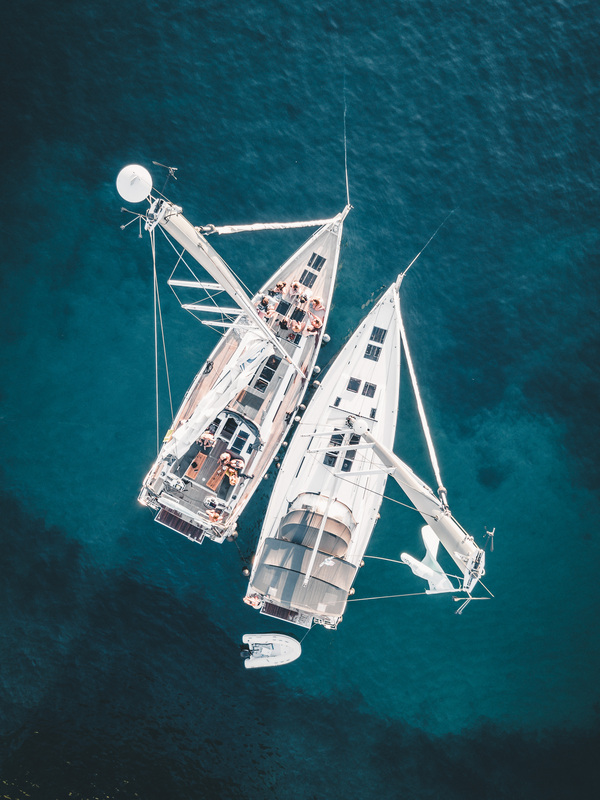 Part of being on a sailboat is learning how to sail – don’t worry, if you don’t want to because there are two very experienced skippers on the yachts (you sail with two yachts in total with one skipper on each one). We started off our trip with some sailing lessons and the skippers taught us how to control the sail boat. I found it super interesting, especially since I’d never really sailed before. If you think you just get to chill on a sailboat and do nothing, you’re wrong. The sailboat is actually going places. We hiked Cabrera National park, kayaked for sunset, cliff jumped into the sea and even climbed down with professional equipment to the famous “Pirate Cave” of Cala Varques (a stunning cave with drip stones). I love some adventure on my trips! After doing yoga, eating delicious food and going on adventures you deserve to chill in the sun and jump in the sea. There are more than enough moments to do that and to be really honest, I felt this sailing retreat found the perfect balance between being active and taking the time to relax. 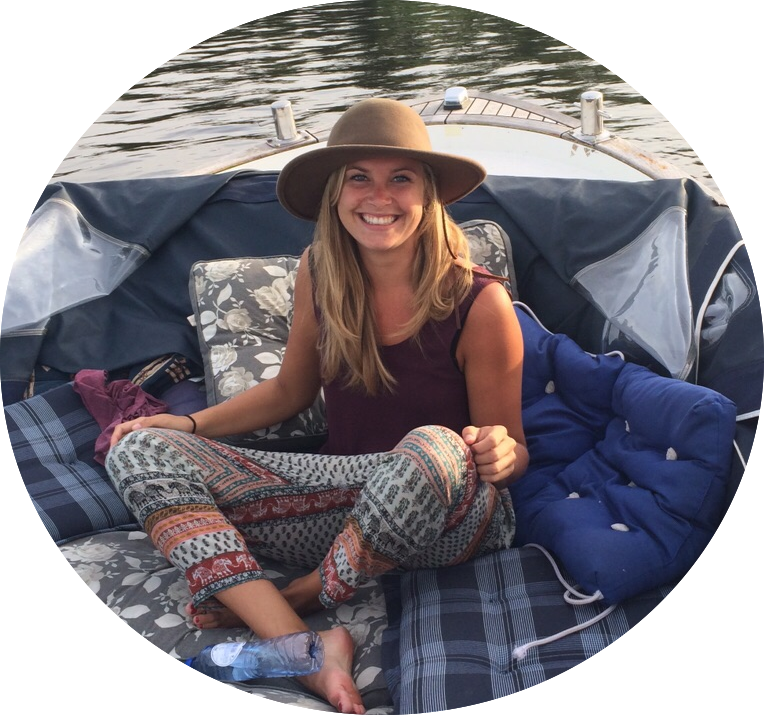 This sailing retreat focuses on sustainable travel, offering organic food (great vegan/vegetarian options) and works together with small local businesses. I went on this trip by myself and was happy to meet so many like minded travellers. Everyone was ambitious and just needed a few days to reset. I think this was the perfect way to do this and give each other new positive energy. In Adventures more trips next summer. If you’re interested, check the IN Adventures website and use the code ‘MYTRAVELTRICKS‘ to get discount! Also, always feel free to reach out if you have any questions or want to know more about this sailing retreat. This sounds absolutely amazing! I’ve only sailed tiny boats before, but I would love to learn how to sail a bigger one, especially in Mallorca! That sounds amazing! I’m actually headed to Mallorca in September, wish I had more time to do this sailing trip! Did the sailing trip ever get super choppy or it was pretty calm throughout? Ahh, thanks for sharing! This totally looks like paradise! I have sailed in a lot of places but Mallorca is DEFINITELY my next destination! This looks lovely! I did feel that exact way about Yacht Week when I went a couple of years ago, haha. My friends and I call it “the most fun we never want to have again.” LOL. So this would be PERFECT for us!! Born and raised in Amsterdam but always felt the urge to explore the world. Love to go out, meet new people and to discover whatever there is in life :) I just want everyone to be happy and therefore share my tips and tricks to explore the world! © 2019 MY TRAVEL TRICKS - ready to explore the world?